I have a friend who refused to apply commonly accepted Feng Shui rules because “it’s against his religion.” I also have a few friends who think Feng Shui is superstitious. I don’t blame them for thinking that way, because Feng Shui has evolved in so many different ways that make those statements somewhat true. 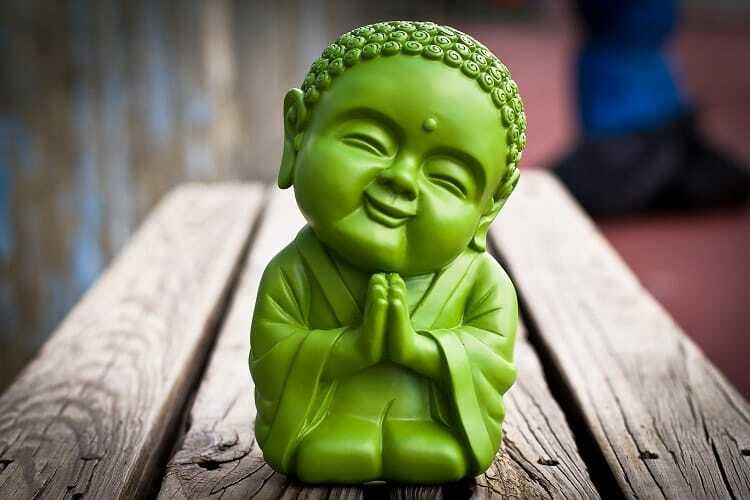 For instance, some Feng Shui tips on the web promise instant money luck when you Feng Shui your wallet or your car, while others require that you place statues of Buddha somewhere in your home. If I’m new to Feng Shui and I read those articles, I would no doubt think that Feng Shui IS superstitious, religious, or magical. Sometimes, these types of beliefs can do more harm than good. If we go to the roots of Feng Shui, or Classical Feng Shui, you’ll find that it is neither a religion nor a superstition. Here, I’ve laid out eight reasons why Feng Shui isn’t religious or superstitious. First, let’s briefly define religion and superstition. Religion requires belief of a supernatural, spiritual, or higher power, usually in the form of God or Gods. It requires followers to believe and worship the higher power, usually in the form of prayers or rituals. Sometimes, the religion lays out a strict set of rules, practice, and moral codes. Superstition is a term used by people to describe a belief or belief system that they don’t believe in. For instance, if someone doesn’t believe that prayers can help them achieve what they want, they can call that practice a superstition. With this said, let’s see why Feng Shui belongs to neither. Some people think that Feng Shui harness spiritual power to achieve its ends – such as improving romance or bringing wealth. This is not true. Instead of spiritual power, Feng Shui harness the power of nature (or power of the Earth). It focuses on the eight cardinal directions, which have magnetic forces which magnets and compasses respond to. It also focuses on the forms, which can be seen by the naked eye. It does not use other-worldly powers. Do not confuse natural power with spiritual ones, or we’d be thinking in the same mindset of people in the Middle and Dark Ages. During that time, some people deemed science as witchcraft. 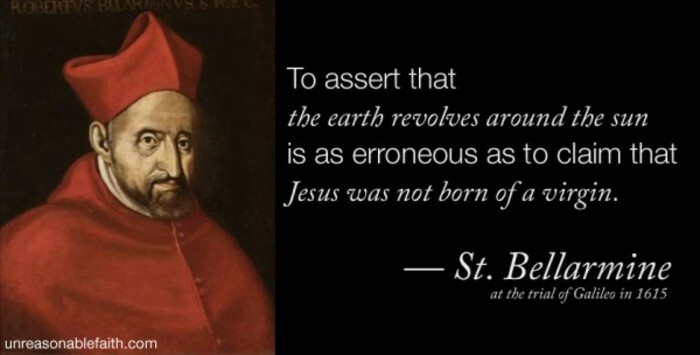 A quote from the trial of Galileo, a renowned astrologer and scientist. Others argue that all powers should come from God. In their eyes, wielding other types of powers, like Feng Shui, is satanic. Here’s my response. God created nature, and Feng Shui harnesses God’s creations to benefit ourselves. It’s the same as domesticating cows, pigs, and chicken for food. It’s the same as using wood for shelter. It’s the same as using Uranium for nuclear power. Feng Shui just uses God’s creations for purposes other than food, shelter, or energy. This is the main reason why Feng Shui is neither religious nor superstitious. In Classical Feng Shui or today’s modern and westernized teachings, there is NO mention of God. It does not go about telling us the deity that created the universe, or the deity that we should worship or be grateful to. Honestly, I think Feng Shui could care less about who created nature, the Earth, or the stars used in the School of Flying Stars. All it really teaches us is how to use what’s around us to improve our current situation or to help us get what we want in life. Although some Feng Shui terms use the name of Gods, it is by no means advocating that the God exist. It is merely using the term to convey a meaning. 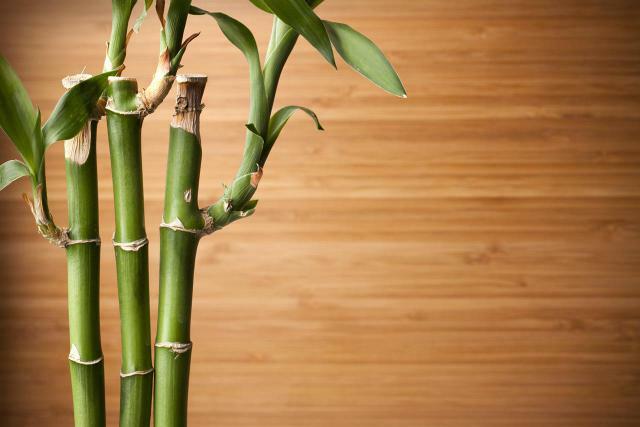 Four straight lucky bamboos can e placed in your Wen Chang, or academic area, to boost your learning abilities and academics. For instance, Wen Chang is the Taoist God of academics and literature. The same term is used to describe the area of the house that signifies a person’s academics, which can be boosted by placing four lucky bamboos. Placing those bamboos is NOT to appease or satisfy the Taoist God. Not in Feng Shui. It is not a belief system where simply having faith in it will miraculously improve your current situation. To use Feng Shui to improve your life, you have to make proper adjustments. If it’s not working, you might need more analysis or more knowledge to see what whether you miscalculated or improperly applied a feng shui cure. Some may argue that by practicing Feng Shui, you still have to “believe” that it’ll work. I guess this is half true, because that’s the same as saying doctors and patients have to “believe” in medicine to cure disease. In this case, I wouldn’t use the word “believe”, because both bodies of knowledge are quite extensive, well-documented, and tried and true. So a better word for “believe” would be “trust”. You should trust Feng Shui the same way you trust modern medicine and engineering. It won’t always work, because there’s always errors, bugs, defects, and malpractice. Most religion require that you worship God or Gods. The worship can come in the form of prayers or rituals such as drinking wine, eating bread, burning incense, and making offerings. In Classical Feng Shui, there is none of those. In fact, Classical Feng Shui makes no use of any religious symbols and statues. The only Feng Shui symbol that may be confused with religion is Taoism, where the Yin and Yang symbol is used. However, that symbol is more of a concept than a religious symbol. The Yin and Yang symbol is used to convey a meaning, but is also used as a symbol in Taoism. 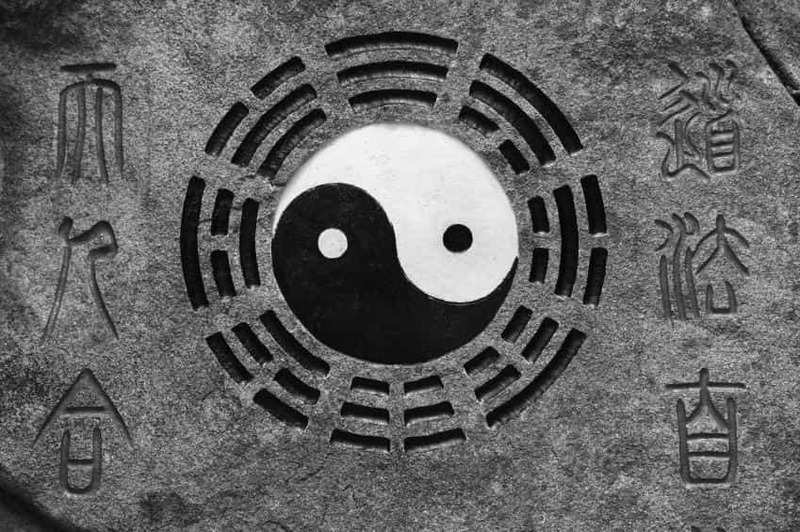 Here you see the eight Kua’s surrounding the Yin and Yang symbol in an ancient stone carving. 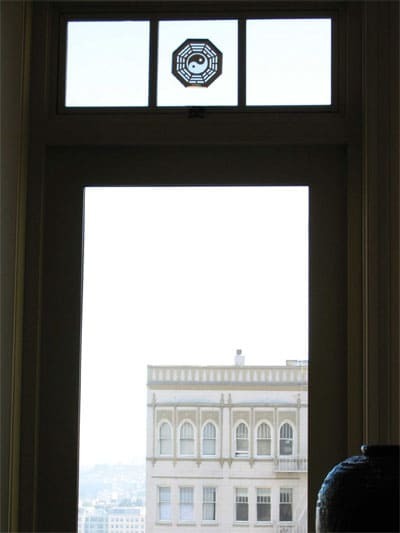 On the other hand, there are some modern practice that DOES make Feng Shui seem religious. For instance, some “Feng Shui” practices integrated Buddhist rituals such as chanting mantras and burning incense. To me, it does seem that they’re calling out to a higher spiritual power for assistance. Other practices include the use of statues of Buddha, such as the laughing Buddha and the Kuan Yin. Some “Feng Shui” practices use statues of Buddha for better Qi. 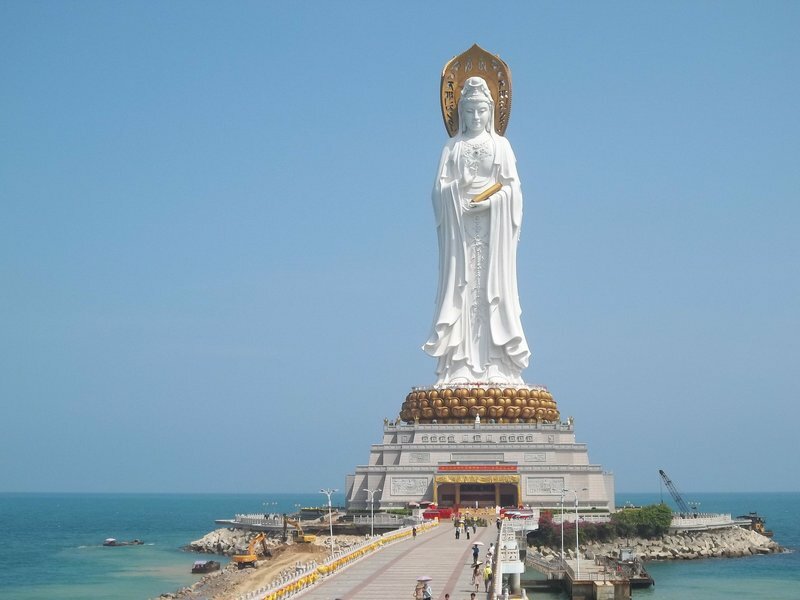 Shown here is a statue of Kuan Yin in Hainan, China. Most religion laid out a set of precise moral codes for their followers to abide to. For instance, there’s the 10 commandments for Christianity, and there’s the practice of love, compassion, and restraint in Buddhism. 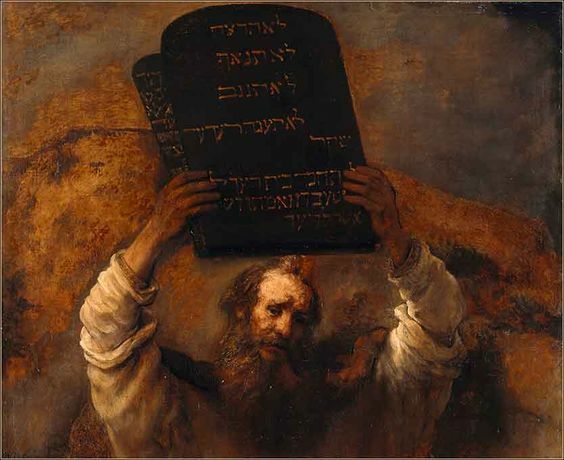 The ten commandments in stone tablets on the hands of Moses. These are the moral codes where believers should follow. Again, Feng Shui has none of those. Feng Shui is like a tool to help people improve their lives, and this tool comes in the form of knowledge and application. It’s like medicine, where the body of knowledge is used to cure diseases, or law, where it is knowledge and practice is used to bring justice. Speaking of moral codes, sometimes Feng Shui are used for immoral means. For instance, it enables people to become MORE greedy, where wealthy individuals seek Feng Shui consultations to further their wealth. Greed is a big taboo in many religions, but NOT in Feng Shui because there’s no moral codes. Also, one can purposely sabotage Feng Shui to destroy relationships. For instance, a resentful spouse or husband can hire a consultant to sabotage the Feng Shui areas for love so they can get a divorce. I’m not suggesting that you use Feng Shui for immoral means. My point is that NO moral codes are imposed by Feng Shui, which makes it quite different than many religions. These types of “tips” are what make Feng Shui seem superstitious. If that was my first time hearing about Feng Shui, I would definitely think Feng Shui is nothing more than bullshi*t. I mean, seriously? Wouldn’t everyone be rich already? Placing a Bagua is NOT a Feng Shui cure to everything. Feng Shui is not magical, nor does it have super powers. Contrary to what’s been promised by Feng Shui adjustments, it is not a magic bullet that can solve all the problems in your life. Instead, it’ll help improve your current situation, if there’s any room for it. Here’s a way to think of Feng Shui. Imagine your life’s journey as a boat. Having good Feng Shui is like having great weather and tail-wind that’ll make your journey easier. Bad Feng Shui, on the other hand, is like sailing in the storm or facing a strong head-wind. And to be clear, Feng Shui does NOT magically transform your boat to a motor-boat or to a ship. Another important take-away is that you still have to be the one sailing and navigating the boat. You still have to invest your time and effort into achieving what you really want, because Feng Shui won’t do all the work for you. “If I can’t see it, I don’t believe in it.” I’ve heard this comment countless times when I talk about the concept of Qi in Feng Shui. I get it. It’s hard to believe in something we cannot feel using our five senses. Only in the past century did we begin to uncover many great scientific findings. We found radiation, which can hardly be felt using our five senses. 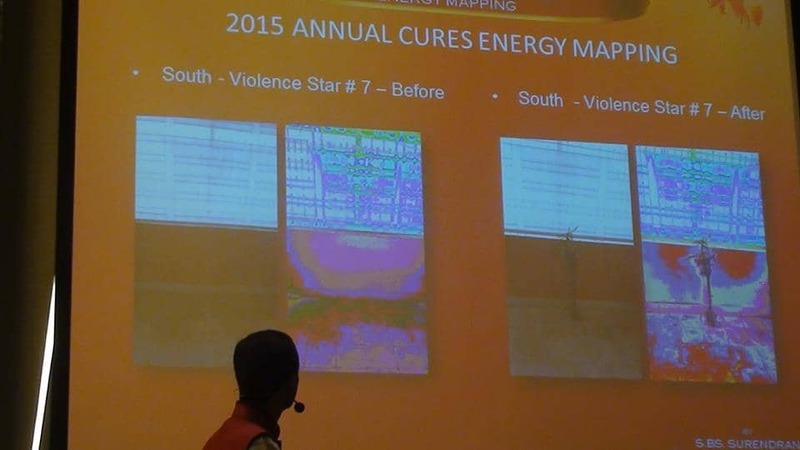 We can visualize the world using heat maps. We found micro-organisms and atoms/molecules, which cannot be felt or be seen. Mentioning these concepts 100 years ago would’ve made you a superstitious person. As technology advances, we are beginning to see the auras, or Qi, of Feng Shui. That is why we shouldn’t be quick to dismiss a concept as superstition just because we can’t see it with our naked eyes. Also, a concept cannot be superstitious just because science can’t prove it. Our technology is advancing, and I’m confident that we can understand how Qi affects us in the future. The word “luck” is lost in translation. When people think about luck, they think about winning the lottery, inheriting a million-dollar house from an unknown uncle, or meeting their secret crush unexpectedly. They think about a one-time lucky event. 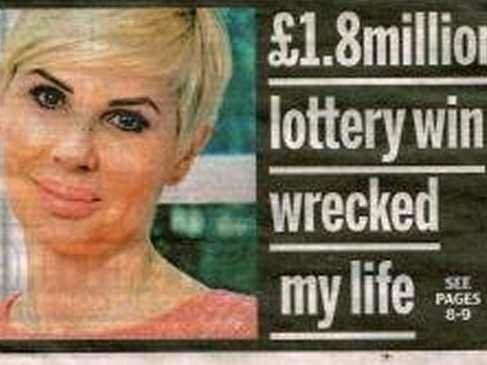 Sometimes winning the lottery is not as “lucky” as it may seem. Although “luck” is the right word for a person experiencing these events, it is not what the word means in Feng Shui. Feng Shui’s luck is used to describe a long period of time or a combination of categorized events over the years. For instance, a person is said to be experiencing luck in career when that person is promoted and getting pay-raises several times over the years. If you want to learn more about luck, I suggest you read my previous post about what luck really means in Feng Shui. Feng Shui is not religious or superstitious because it doesn’t require faith and is not supernatural. In fact, it is similar to other bodies of knowledge that seeks to understand this world. It’s like how physicists explain this world using concepts such as “force” and explaining them using Calculus. It’s like how mathematicians interpret this world using formulas such as the Golden Ratio. In Feng Shui, concepts such as the Yin and Yang and the Five Elements are used to understand this world. There are some modern practices does make Feng Shui seem religious or superstitious, and we need to distinguish those practices from what’s been tried and true, such as Classical Feng Shui. This way, we can all reap the benefits of Feng Shui without worrying whether it’s against our religion or not. What religious or superstitious Feng Shui concepts have you heard? Please share them using the comments below! I think most of the new age feng shui techniques and cures are based in superstition …not meaning disrespect in any shape or form..but I’ve tried feng shui for years and it’s very confusing..too many options and opinions..and very hard to find a more accurate form of the old school format.. I totally feel you Zeida. Even with the old school format, people interpret it differently because the ancient language used is often in metaphors and should not be interpreted literally. I would like to get a word in here. I have to say that I have tried to make the indoor changes but had no success. When I say ‘no success’ I mean having my finances drained, fighting with my spouse, having trouble with my pets, health problems, you name it. It was only until the bad luck mounted to incredible bad luck (a basement flood that destroyed major appliances) that I couldn’t take it anymore. I looked at the front yard which was a mess, i.e. gutters were clogged, trees and bushes were overgrown, dog waste and weeds everywhere, etc. I was so frustrated that I quickly went to work on all this stuff. Then a series of incredible events followed. So much good luck has been occurring I cannot believe it. When I stand back and look at it, I know that it was ME MANNING THE SHIP and making FENG SHUI WORK because I was intending to make my life improve. Victor is right, it is not magical, but I would like to add that you may feel like it is magical after experiencing so much bad luck that you can’t stand it anymore. Just a note to let you know that I think your Why Feng Shui is Not a Religion or Superstition is the best article l have ever read about understanding the meaning of Feng Shui. You answered these common questions in scientific and practical ways which made it easy for readers like me to understand. I enjoyed reading this article. It is beautifully written! Thank you! I’m glad you liked it! Thanks! !